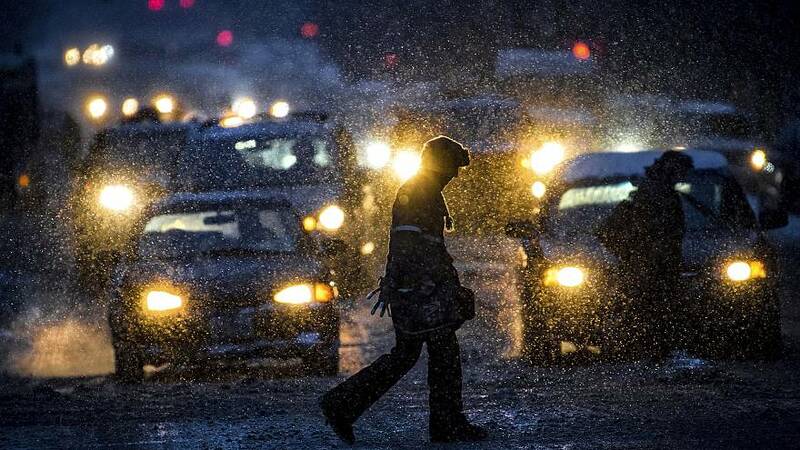 Seattle and the Pacific Northwest were digging out of record snowfall on Tuesday, as hundreds of thousands of Midwesterners suffered weather-related power outages. Several counties of western Washington state were under flood advisories after 17.5 inches snow fell on Seattle Friday through Monday, with rain and temperatures in the high-30s the rest of the week threatening Evergreen State roadways. Seattle has received 20.2 inches of snow so far this February, the most in any month in the Emerald City since January, 1959. That's more than New York (7.5 inches) and Boston (2.3 inches) combined this year. "The rain may bring reprieve to some areas but also brings frozen slush, downed branches and flooding to others," Washington Gov. Jay Inslee tweeted on Tuesday. "If you can — keep off the roads for another day. If you must travel — please drive slow, give extra space and be prepared before you leave home." Meanwhile, many residents of southeast Michigan, northwest Ohio, northeast Indiana and northern Illinois were plagued by power outrages on Tuesday. High winds in Chicago threatened to knock out power in the nation's third-largest city and even forced some downtown street closures due to falling ice,NBC Chicago reported. 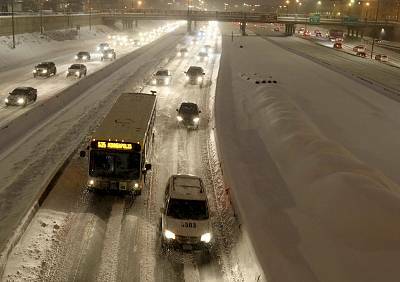 Snow was pounding Minneapolis again on Tuesday with up to 5.3 inches recorded by the late afternoon, following a Monday of 5.9 inches of snowfall. The snowfall has been taking a particularly major toll on state police cruisers. From Feb. 1 through Tuesday afternoon, 10 patrol cars had been struck while out on the job — due largely to drivers not being more careful on slick roadways, according to the Minnesota State Patrol. Too many Minnesotans are lulled into a false sense of security on the roads because they might be operating a four-wheel-drive or all-terrain vehicle, according to MSP Sgt. Ruben Marichalar. "If the road are slick and there's ice, you can have six wheels and you're not going to be able control that vehicle" if you're driving too fast, Marichalar said in a tweeted video message on Tuesday.